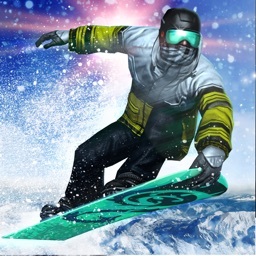 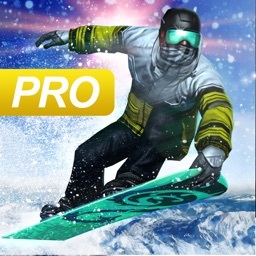 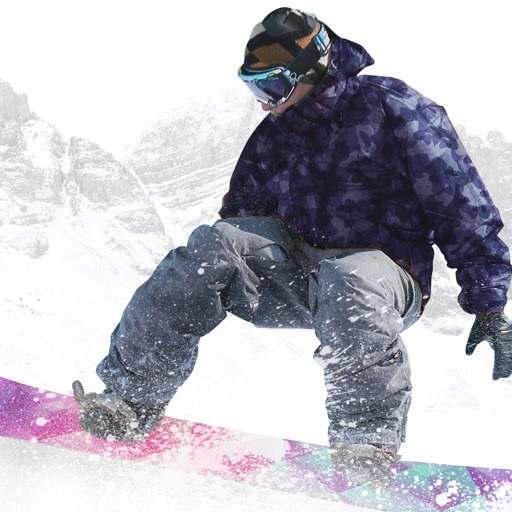 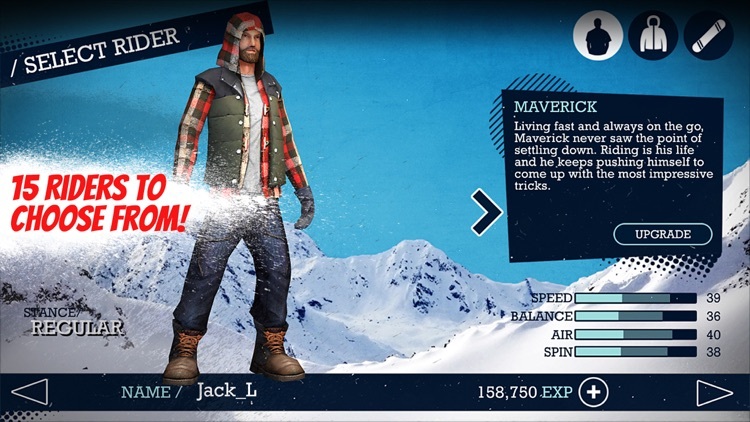 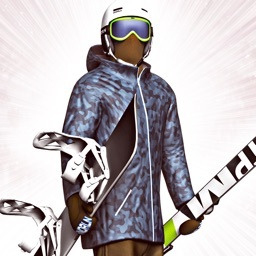 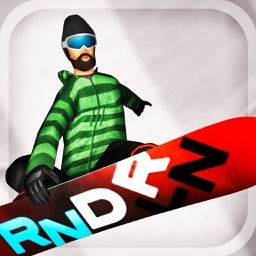 Snowboard Party brings the thrill of snowboarding to your mobile device! 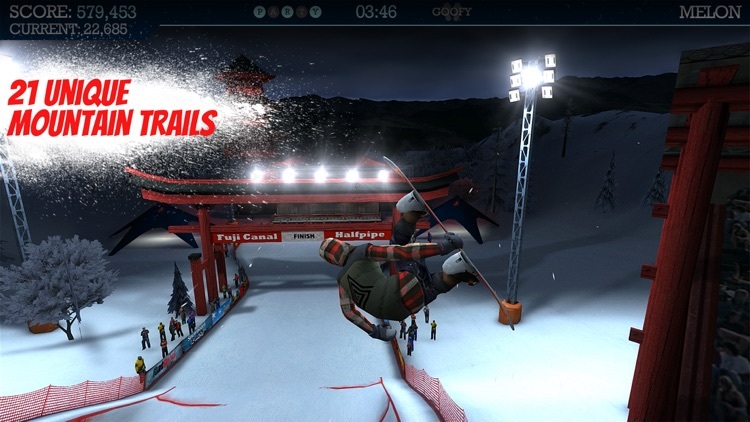 Get ready to ride the downhill slopes at extreme speed and catch some big air to perform the craziest tricks in 21 completely unique adrenaline-filled mountains/locations. 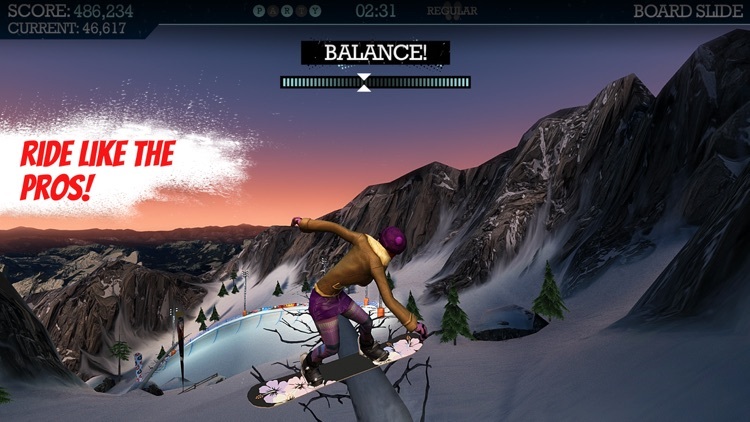 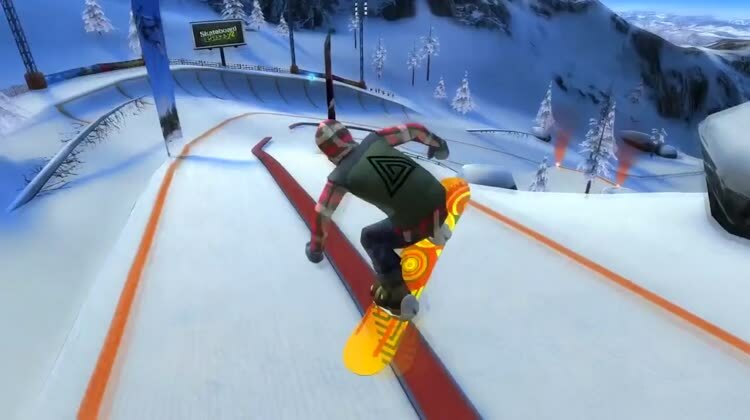 Jump on your board, learn new moves and improve your snowboarding skills to land sick freestyle trick combos and rack high scores! 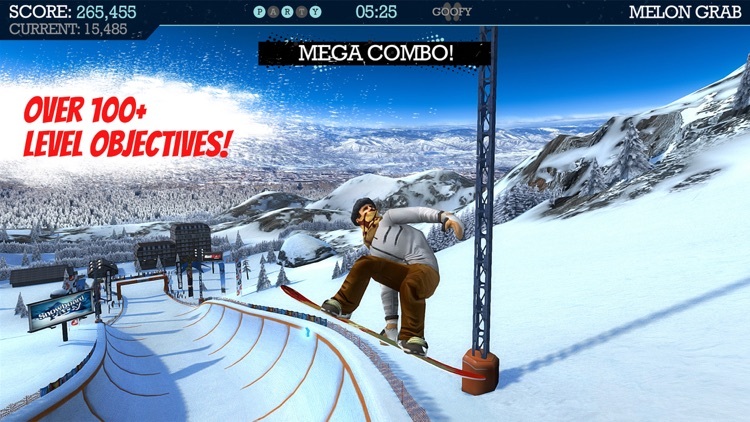 Experience snowboarding like never before! 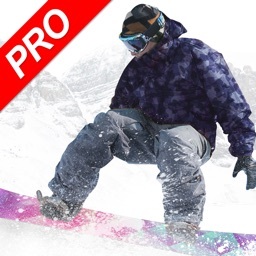 • Massive mountains/locations to ride including 21 trails/courses located in the Rockies, Alps and Japan. 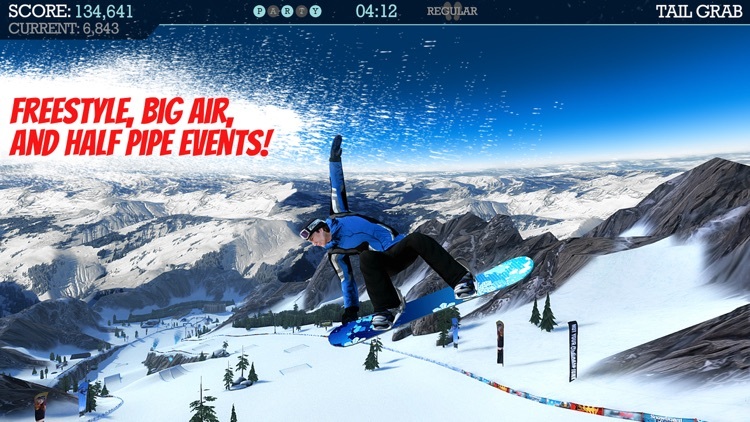 Choose from big air, freestyle, and halfpipe events.